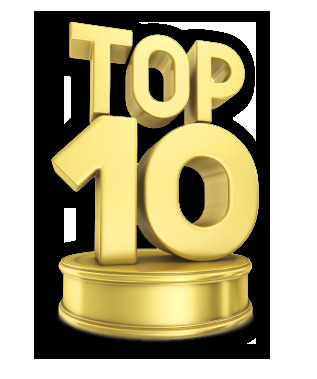 What are the Top Ten Questions Asked of Catholics? We Catholics are often asked tough questions about our Catholic faith and its relationship to the Bible. Here are the ten most-asked-questions and the answers that should help you satisfy both your questioner and yourself. 10 Are your beliefs found in the Bible? All Catholic beliefs can be found in the Bible in some form, whether plainly or by an indirect indication. It is not necessary for everything to be absolutely clear in Scripture alone, because that is not a teaching of Scripture itself. Scripture also points to an authoritative Church and Tradition, as St. Paul says in his Second Letter to the Thessalonians: "Stand firm and hold to the traditions which you were taught by us, either by word of mouth or by letter" (2 Thess. 2:15; 1 Cor. 11:2, 2 Thess. 3:6; 2 Tim. (1:13-14; 2:2). When the first Christians had a significant disagreement, they didn't simply open their Bibles (which didn't even exist at that point) to decide who was right; they held a council, which made binding decrees (Acts 15:1-29). The very books of the Bible had to be determined by the Church and that didn't happen until the late fourth century. Therefore, Sacred Tradition and authority were necessary for us to even have a Bible today. 9. Why do you obey the Pope? Catholics believe that Jesus commissioned St. Peter as the first leader of the Church. Matthew's Gospel has the most direct biblical indication of the papacy: "And I tell you, you are Peter (meaning literally "Rock") and on this rock I will build my church ... I will give you the keys of the kingdom of heaven" (Mt 16:18-19). Based on this statement of Jesus Himself, Peter is clearly portrayed in the New Testament as the leader of the disciples. A pope can make infallible, binding pronouncements under certain conditions. Infallibility doesn't mean that absolutely everything a pope says is free from error. All Christians believe that God protected Holy Scripture from error by means of inspiration, even though sinful, fallible men wrote it. We Catholics also believe that God the Holy Spirit protects His Church and its head from error (Jn. 14:16) by means of infallibility, even though sinful, imperfect men are involved in it. 8. Why do you call your priest "Father"? "And call no man your father on earth, for you have one Father, who is in heaven" (Mt 23:9). In this passage, Jesus is teaching that God the Father alone is ultimately the source of all authority. But He is not speaking absolutely, because if so, that would eliminate even biological fathers the title, "Church Fathers", the founding fathers of a country or organization, and so on. Jesus Himself uses the term "father" in Matthew (15:4-5; 19:5, 19, 29; 21:31), John (8:56), and several other places. In the parable of the Rich Man and Lazarus, Jesus actually presents Lazarus as using the address, "Father Abraham," twice (Lk. 16:24, 30; see also Acts 7:2; Rom. 4:12; Jas. 2:21). St. Paul also uses the term when he writes, "I became your father in Christ Jesus through the Gospel (1 Cor. 4:15; see also 1 Cor. 4:14-16) and refers to "our forefather Isaac" (Rom 9:10). 7. Why do you pray for the dead? The Bible clearly teaches the rightness of prayers for the dead in 2 Maccabees (12:40, 42, 44-45): "Then under the tunic of every one of the dead they found sacred tokens of the idols of Jamnia, which the law forbids Jews to wear. And it became clear to all that this was why these men had fallen ... And they turned to prayer, beseeching that the sin which had been committed might be wholly blotted out ... For if he were not expecting that those who had fallen would rise again, it would have been superfluous and foolish to pray for the dead ...He made atonement for the dead, that they might be delivered from their sin." St. Paul teaches this in a similar way: "Otherwise, what do people mean by being baptized on behalf of the dead? If the dead are not raised at all, why are people baptized on their behalf?" (1 Cor. 15:29). This indicates prayer and fasting for the dead. The word baptism often symbolically refers to penances (Mk 10:38-39; Lk. 3:16, 12:50). The apostle Paul also appears to be praying for a dead person, Onesiphorus, in 2 Timothy (1:16-18). 6. Why do you pray to idols (statues)? No Catholic who knows anything about the Catholic faith has ever worshiped a statue (as in pagan idolatry). If we cherish the memory of mere political heroes with statues and that of war heroes with monuments, then there can be no objection to honoring saints and righteous men and women: "Honor all men. Love the brotherhood. Fear God. Honor the emperor" (1 Pet 2:17; see also Rom. 12:10; Heb. 12:22-23). Statues are simply a visual reminder of great saints and heroes of the faith (Heb 11), who are more alive than we are (2 Cor. 3:18), as is evident by their praying: "O Sovereign Lord ... how long before thou wilt judge and avenge our blood on those who dwell upon the earth?" (Rev 6:10; see also Ps. 35:17). The saints in heaven were never intended by God to be cut off from the Body of Christ on earth. They are involved in intercession, just as the saints on earth are and they are described as "so great a cloud of witnesses" (Heb. 12:1). 5. Why do you confess your sins to a priest? Jesus Christ gave His disciples—and by extension, priests—the power not only to "loose" sins (that is, forgive in God's name), but also to "bind" (that is, refuse absolution to someone until a certain condition is met; for instance, having the intention not to continue the sin): "Whatever you bind on earth shall be bound in heaven and whatever you loose on earth shall be loosed in heaven" (Mt 18:18 - see also Mt 16:19). "If you forgive the sins of any, they are forgiven; if you retain the sins of any, they are retained" (Jn. 20:23). The priest serves as the representative of God and of His mercy. Confession gives new courage, confidence and a fresh start. One learns humility by this practice, receives additional grace in order to avoid sin and attains a certainty of forgiveness that is superior to mere feelings. Confession is also indicated in Matthew (3:5-6), Acts (19:18), and 1 John (1:9). 4. Why do you worship Mary? Catholics do not worship Mary. We venerate her because she is the Mother of God the Son, our Lord Jesus Christ. Veneration is completely different from the adoration of God. It is the honoring of a person, not the worship of Almighty God, our Creator. Catholics believe that Mary is the highest of God's creatures because of her exalted role. But, of course, like any other human being, she had to be saved by the mercy of God. She herself said, "My spirit rejoices in God my Savior" (Lk. 1:47). We believe that God saved her by taking away all stain of original sin at the moment of her conception (the Immaculate Conception). The very fact that God took on flesh and became man (Jn. 1:1, 14) indicates that He wished to involve human beings in His plan of salvation for mankind. Mary was a key person for this purpose, so this is why Catholics honor her so highly. 3. Why do you worship communion hosts? A consecrated host at a Catholic Mass is the true Body and Blood of Christ, not merely bread; so Catholics are worshiping Jesus, not a host. In the Gospel of John (6:51-56), Jesus states repeatedly that "he who eats my Flesh and drinks my Blood has eternal life" (6:54). He is speaking literally and He is so firm about it that, even though many followers objected and left Him (6:52, 60, 66), he did not soften His words to get them to stay. St. Paul agrees with this interpretation and writes that those taking Communion "in an unworthy manner will be guilty of profaning the Body and Blood of the Lord" (1 Cor. 11:27; see also 1 Cor. 10:16). We don't sin against someone's "body and blood" by destroying a photograph (which is a mere symbol) of the person. Moreover, in the Last Supper passages (Mt 26:26-28; Mk 14:22-24; Lk. 22:19-20), nothing suggests a metaphorical or symbolic interpretation. The Last Supper was the Jewish feast of Passover. This involved a sacrificial lamb and Jesus referred to His imminent suffering (Lk. 22:15-16, 18, 21-22). John the Baptist had already called Him the "Lamb of God" (Jn. 1:29). 2. If you died tonight, would you go to Heaven? Catholics have an assurance of salvation if they are faithful and keep God's commandments (1 Jn. 2:3) and the precepts of the Church. If they die in the state of grace, they are assured of Heaven. But to enter Heaven, one must be perfectly holy, because "nothing unclean shall enter it" (Rev 21:27; Is 4:4; Mal 3:2-4). The cleansing and purifying of the effects of sin, which makes us fit for God's holy presence, is what Catholics call Purgatory. This is clearly indicated in St. Paul's writings: "Each man's work will become manifest; for the Day will disclose it, because it will be revealed with fire—and the fire will test what sort of work each one has done. ...If any man's work is burned up, he will suffer loss, though he himself will be saved, but only as through fire" (1 Cor. 3:13, 15). "For we must all appear before the judgment seat of Christ, so that each one may receive good or evil, according to what he has done in the body" (2 Cor. 5:10). 1. Are you saved? Catholics can be sure as anyone else that they are in God's good graces. The apostle John states that "you may know that you have eternal life" (1 Jn. 5:13; see also Jn. 5:24). But this "assurance" has to be understood in light of John's other teachings in the same book: "For this is the love of God, that we keep His commandments" (1 Jn. 5:3; see also 1 Jn. 2:3-6). "We know that any one born of God does not sin" (1 Jn. 5:18). "He who loves God should love his brother also" (1 Jn. 4:21). "He who commits sin is of the devil" (1 Jn. 5:18; see also 1 Cor. 6:9). Likewise, St. Paul does not regard salvation as a one-time event, but as a goal to be sought after, one that can be lost: "Work out your own salvation with fear and trembling" (Phil 2:12; see also 1 Cor. 9:27, 10:12; Gal 5:1, 4; Phil 3:11-14; 1 Tim 4:1, 5:15). You might try answering this question this way, "If you mean, 'do I accept Jesus Christ as my personal Lord and Savior because He died on the Cross to save us from our sins?,' then the answer is 'Yes! '".